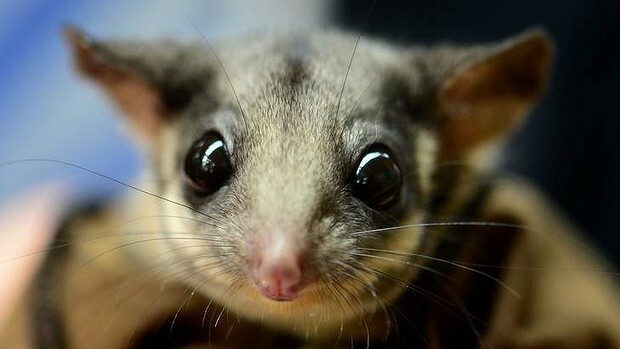 Conservation scientists have expressed concern about the genetic health of the last population of lowland Leadbeater's possums, after a fatally diseased possum arrived at Healesville Sanctuary from the wild and died. It's the third consecutive year that a wild animal, selected because of its apparent health and value to the captive breeding program, has died. Listed internationally as endangered, the Leadbeater’s possum is Victoria’s faunal emblem. There are just 40 of the lowland Leadbeater’s left, living in a small patch of forest near the hamlet of Yellingbo, near Healesville. Melbourne University conservation geneticist Andrew Weeks analysed tissue samples from the lowland possums. The most recent results reveal a 10 per cent slide in genetic diversity over the past decade. ‘’We’ve recorded a loss and that’s quite a concern,’’ he said. The typical level of genetic diversity in a Leadbeater's possum population is 65 per cent. The diversity level in the Yellingbo population is now 45 per cent. Dr Weeks said as populations shrank in size, the rate of inbreeding increased and genetic abnormalities could start to show. This included shorter lifespans, fewer offspring, a greater predisposition to disease and a weakened ability to fight disease. 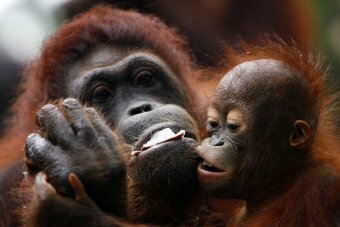 He said while there were 40 individuals living in the Yellingbo Nature Conservation Reserve, 50 kilometres east of Melbourne, it was unlikely that all were breeding. Therefore, the animals contributing to the gene pool was smaller than the population numbers suggested. The female possum that was brought to Healesville Sanctuary as part of a captive breeding program in May died earlier this month. A post-mortem revealed she had cancer in her reproductive tract, inflammation of the liver and kidney disease. General manager of life science at Healesville Sanctuary Rupert Baker said the adult male that died in 2013 also had cancer, while the adult female that died in 2012 had a rare blood parasite that vets believe has never before been seen in an Australian marsupial. The deaths have prompted concerns that the population’s gene pool is too shallow to allow for healthy, resilient genetic diversity. Healesville Sanctuary’s threatened species biologist Dan Harley said the deaths highlighted the precarious position of the wild population - and raised the difficult question as to whether authorities should start to consider bringing the wild population into captivity. ‘’We knew the wild population wasn’t going well numerically but what this says is that it’s probably not going well in terms of its genetic health,’’ Dr Harley said. When confronted with a similar scenario with the mountain pygmy possum, scientists opted to cross-breed the Mount Buller population with the genetically distinct Mount Hotham population. The hybrid animals were then released into the wild to boost the gene pool at each location. However it is a last resort for scientists who, where possible, try to preserve distinct groups in the wild. "We should really only intervene when things are dire," Dr Harley said. Satellite images have found that Indonesia has surpassed Brazil in clearing tropical forests, and losses are accelerating, scientists say. That's despite a 2011 moratorium meant to protect wildlife and combat climate change. Between 2000 and 2010, Indonesia's loss of virgin forests totalled 60,000 square kilometres, an area almost the size of Ireland, partly to make way for palm oil plantations and other farms, researchers say. In 2012 alone, deforestation in Indonesia was estimated at 8,400 square kilometres, compared with 4,600 square kilometres in Brazil. According to the study, deforestation in the Amazon basin in Brazil has traditionally accounted for the biggest losses, which the country has managed to reduce in recent years. And it says the loss of primary forest areas is damaging global biodiversity. "Indonesia's forests contain high floral and faunal biodiversity, including 10 percent of the world's plants, 12 percent of the world's mammals, 16 percent of the world's reptile-amphibians and 17 percent of the world's bird species," the study said, published in the journal Nature Climate Change. "Extensive clearing of Indonesian primary forest cover directly results in habitat loss and associated plant and animal extinctions." The research, lead by Belinda Margono of the University of Maryland, looked at long term satellite images. Ms Margono says monitoring of clearing in Indonesia needs to be increased. "We need to increase the law enforcement, the control in the area itself," Ms Margono said. The study found lowland and wetland areas in Sumatra and Kalimantan were the worst affected. Indonesia's 2011 moratorium on forest clearing was imposed partly to slow deforestation that is ruining the habitats of orangutans, Sumatran tigers and other wildlife. Norway has also promised $USD1 billion to Jakarta if forest losses are slowed. It has already paid almost $50 million to Indonesia to help set up new institutions to reduce deforestation and says the study's findings strengthen reasons for the program. Norwegian environment ministry spokeswoman, Gunhild Oland Santos-Nedrelid, says the partnership constitutes a strong financial incentive. Norway will only start to handover large amounts of money to Indonesia if monitoring proves a slowdown in deforestation. A United Nations decision on whether to allow the stripping of world heritage protection from swathes of Tasmanian forest will be adhered to, the Australian government has indicated. Unesco’s World Heritage Committee has gathered in Doha, Qatar to determine its position on, among many other matters, whether to allow the removal of 74,000ha of forest from Tasmania’s world heritage area. It’s expected that the committee will hand down its decision late on Monday night, Australian time. A draft ruling, following a recommendation by the International Union for Conservation of Nature, states that the boundary change, as requested by the Australian government, should not be permitted. The Coalition formally requested the world heritage area to be shrunk earlier this year, citing economic benefits from opening up more forestry to logging. The government has argued that 74,000ha of the 170,000ha nominated by the previous Labor administration for world heritage protection is degraded by previous logging and development and should be excised from the area. But ministers have indicated they will abide by the World Heritage Committee decision, should it confirm it has accepted expert opinion that the current boundary should remain. A spokesman for Liberal senator Richard Colbeck, who has published a series of photographs showing degraded areas within the 74,000ha, told Guardian Australia the government would respect the Doha ruling. Greg Hunt, the federal environment minister, was less definitive on the issue, telling the ABC that it was “a matter for the Tasmanian government”. A spokeswoman for the Tasmanian government told Guardian Australia that it would also respect the outcome of the World Heritage Committee meeting. In its recommendation to the World Heritage Committee, the IUCN stated that the Coalition’s request was “clearly inappropriate” and would "impact negatively on the outstanding universal value of the property" and "reduce integrity of key natural attributes". The IUCN stated that, contrary to the government’s claim that the area was heavily degraded, 85% of the 74,000ha was natural forest, with 45% old-growth forest. Just 4% could be described as heavily disturbed by logging, roads and other infrastructure, the IUCN report found. The Greens have called on the government to abandon its map-redrawing exercise, which would trim the protected area which covers much of southwestern Tasmania. Christine Milne, the Greens’ leader, has called the proposal a “demeaning act of environmental vandalism”. Unesco has confirmed that the proposed boundary change is highly unusual as it comes just a year after the area was assessed to be of world heritage quality. The world heritage listing was agreed following an agreement between conservationists, loggers and the government, in order to end decades of argument over the use of native forests for timber. The Coalition wants to scrap this agreement, arguing that it was hastily conceived by vested interests and unfairly locked out local communities and the logging industry. “To assert that pine plantations, roads, high tension wires, eucalypt plantations is worthy world heritage preservation simply does not pass the common sense test,” Liberal senator Eric Abetz told Seven’s Sunrise show on Saturday.